Spend quality time with your friends in your newly refurbished kitchen by browsing our range of kitchen wine rack base units. Include pigeon hole wine racks and bottle rail base units in your new design and make your kitchen a comfortable, welcoming place to relax and chat while preparing and sharing food and drink. 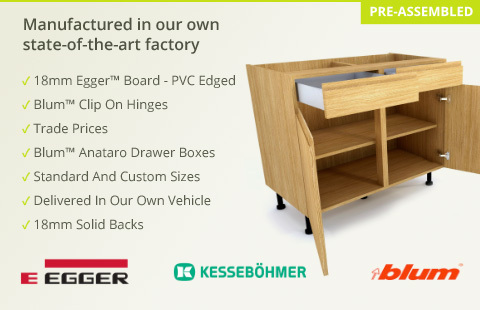 All our kitchen base units are UK manufactured using 18mm Egger Board.